Naked Wedding Cake Coggeshall – Houchins farm, 6th August 2016. We were back at gorgeous Houchins Farm in Coggeshall on Saturday for the wedding of Harriet and Simon. I had a frantic email from Harriet about 3 weeks before the wedding as her original cake lady had been taken ill and luckily I was more than happy to help them out. 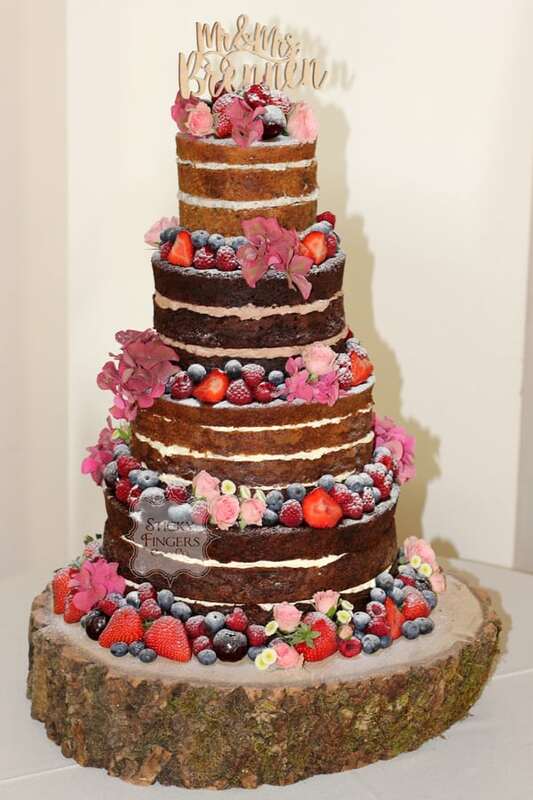 The happy couple chose to have a 4 tier naked wedding cake decorated with fresh berries and pretty fresh flowers which were supplied by Silvia at Delicate Daisies in Wickford, Essex. It looked so pretty! Huge congratulations to you both. Have a long and happy life together..